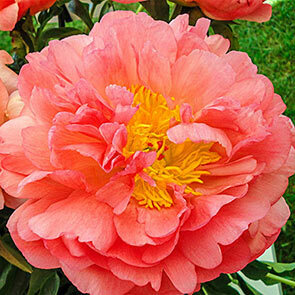 Award-winning peony pleases in midseason gardens. Flower Color Coral pink with gold centers. Flower Form Approx 5.5" semi-double flowers. Foliage Type Green foliage is divided into oval to lance-shaped segments.